The Crew Real Estate has been incredibly busy. 2017 has truly been the #CREWyear we hoped it would be, and it's only the tail end of February. Here is what’s been happening. 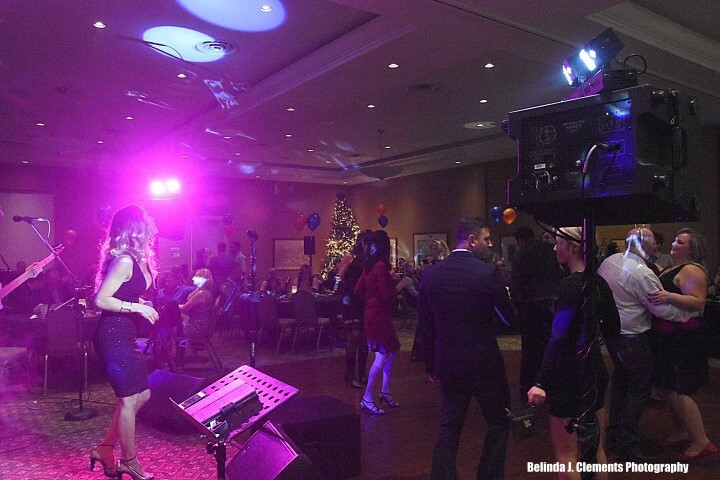 At 12:00 a.m. January 1st, the ball dropped at our Crew Years Eve event as we rang in the Crew Year with over 150 guests at the Brantford Golf and Country Club. Our event was for so much more than just announcing our plans for 2017, it was an unbelievably successful fundraiser to grant wishes for cancer care patients at the Brantford General Hospital. In Association with The Closet Door, we proudly raised nearly $5000 to make them all come true. While we granted these wishes, the first few weeks of January our team was hard at work helping our clients buy and sell homes as we secretly began preparing to make a major announcement for February 1st. (More on that later). THE BRANTFORD REAL ESTATE MARKET IS BOOMING! The new year has brought about a surge in the Brantford real estate market. We listed 88 Grand St. in early February and the neighbours witnessed a stampede of traffic of people viewing the property. On the day we listed we had over 25 showings and the house was sold within 8 hours over the asking price. Just recently The Huffington Post named Brantford the #1 city in Canada to live in where houses are under $400K. This type of media attention is bringing in buyers from Hamilton, Burlington and the GTA causing Brantford housing prices to soar. If you've been thinking about selling your home, The Crew would love to talk with you about your options. We've been doing home appraisals for home owners all across the city and many of them are astonished to find out their homes are worth significantly more than they thought. Home appraisals are free of charge and there is absolutely no obligation to sell; simply knowing the value of your home can be great piece of mind. Click below to schedule your home evaluation. It was during the second week of January that our Crew Leader: Ryan, read an article about a lack of blood donations, and that Canadian Blood Services (CBS) was actively looking for new donors. The Crew Valentines Blood Drive would soon follow. We contacted CBS, and they told us about their very simple “adopt a clinic” program. Our clinic would open to donations February 16th, and we began aggressively advertising it. We worked with Devlin's Advocate, Brantford Blooms Florist, and the Sanderson Centre, to arrange a draw for a date night for two in Brantford. Anyone that gave blood at our clinic could enter, and we were pleased to announce the winner of the date night for two, with a live video on our Facebook page. We were able to bring in 71 units of blood to the clinic, and we had nothing but compliments from CBS, and donors for a fun to attend and innovative Blood Drive. In November of 2016 we had a soft opening of CREW HQ, but we officially announced in January. This opening caught the interest of Laurier Students who walked right by every day. We soon received a request from the Arts and Culture Editor Matt Burley of Laurier’s student paper The Sputnik. He joined us at the office and did a Q&A Interviewed that was featured in January's edition of the paper, letting people know the full story of “Who is The Crew”. Also during the first few weeks of January, word went around the office that two upcoming events would be coming to town. The much loved Frosty Fest, operated by Freedom House would be taking over downtown (conveniently where CREW HQ is located). Also the team from the Millennial Networking Group would be hosting a Masquerade Ball to raise funds for The Heart and Stroke Foundation of Canada. We were thrilled to be able sponsor both events, and help support two very worthy causes. Crew members had a great time downtown for Frosty Fest with our families, and we’re all geared up and ready to hide our identities and dance the night away at the ball. Then came February 1st, our big announcement. The Crew in partnership with 26 local business announced the “Breath of Fresh Air Talent Show” On May 6th on stage at the Sanderson Centre, one lucky local performer is going to walk away with a grand prize of $5000. The audience will vote the most enjoyable act of the evening, and the second part of the show is a $5000 sponsorship for the City of Brantford’s Tree Planting Program, to plant much-needed trees in our community. Auditions opened up February 1st and are still ongoing at breathoffreshairtalent.com. Even more exciting things happened for the Crew in February. Martin Smith of Ichthys Theatre, approached us for an exciting opportunity to cross promote, and support an upcoming production of theirs, “Agatha Raisin and the Quiche of Death”. It will no doubt prove to be a great opportunity for our team, and the chance to support local theatre which perfectly aligns with our goals to support the community in new and interesting ways. February also proved to be a media heavy month for The Crew. Our Blood Drive was featured on BScene’s online feed as well as promoted on the Rogers Cable 20 program Wit’s and Pieces. 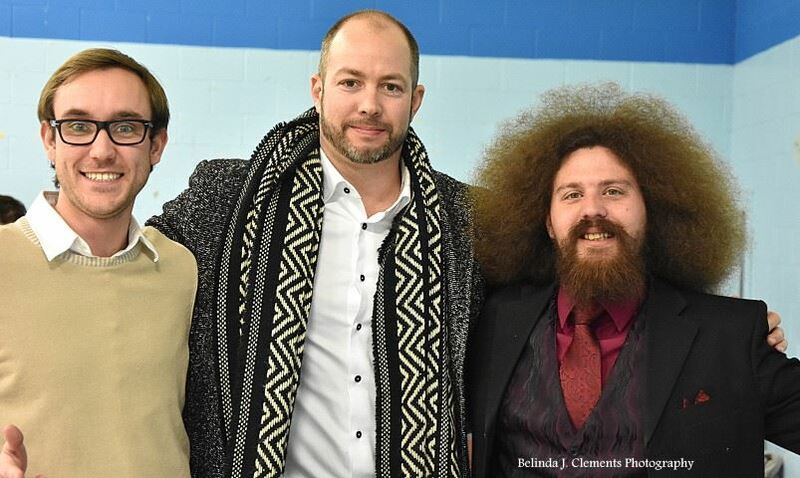 Our Breath of Fresh Air Talent show was featured in a spread in both the Brantford Expositor, the Brant News, and also distributed through their online feeds, being shared to tens of thousands of people. It’s barely been two months of the #CREWyear. We feel like we’ve only done a fraction of what we have planned, but we are delighted with how well the start has gone. We do real estate differently, turns out we also do many others things differently as well. We’re happy the public has supported us so graciously, and has been a part of this crazy adventure so far. We’ll have many more exciting events to come, so keep an eye on The Crew Real Estate.